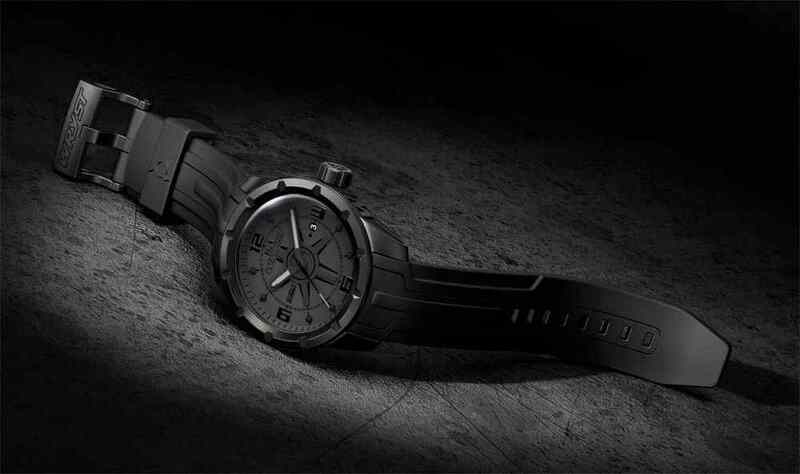 The Black watch WRYST ULTIMATE ES20 Swiss Made for sport is entirely black and represent a cool look that is both understated and sleek. 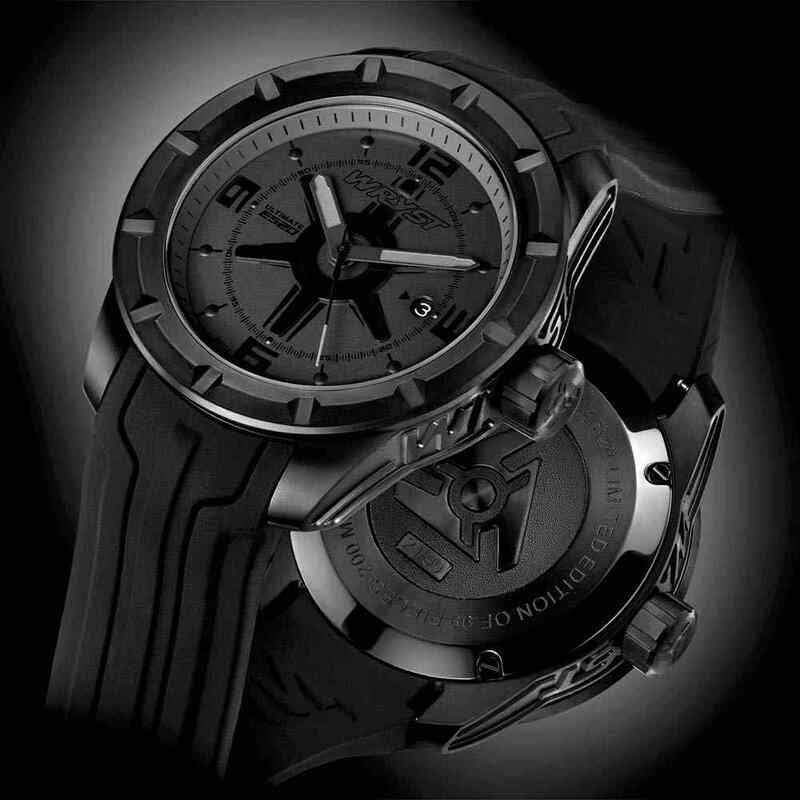 Produced in Limited Edition of 99 pieces only it makes the ideal watch for rough usage and hostile environment. A watch is often used to measure a man’s success and sense of style. 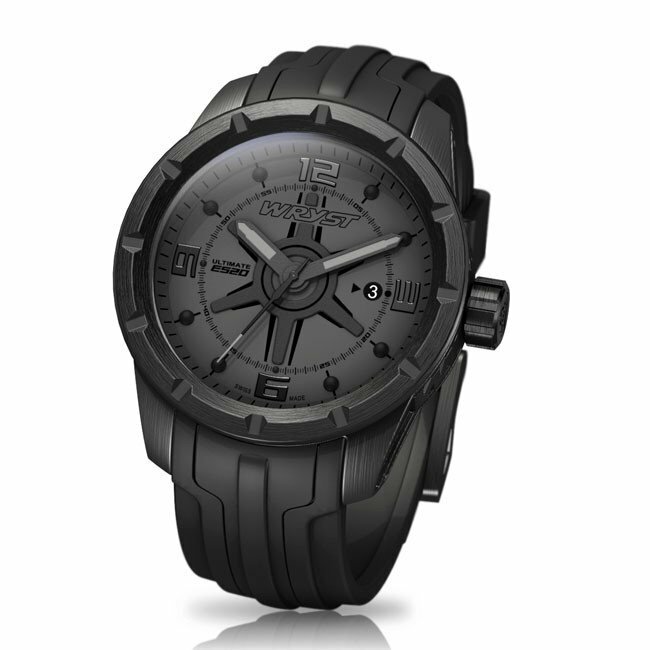 Totally blacked-out, this exclusive watch with black dial has black DLC coating on the case, bezel, crown, case back and buckle. 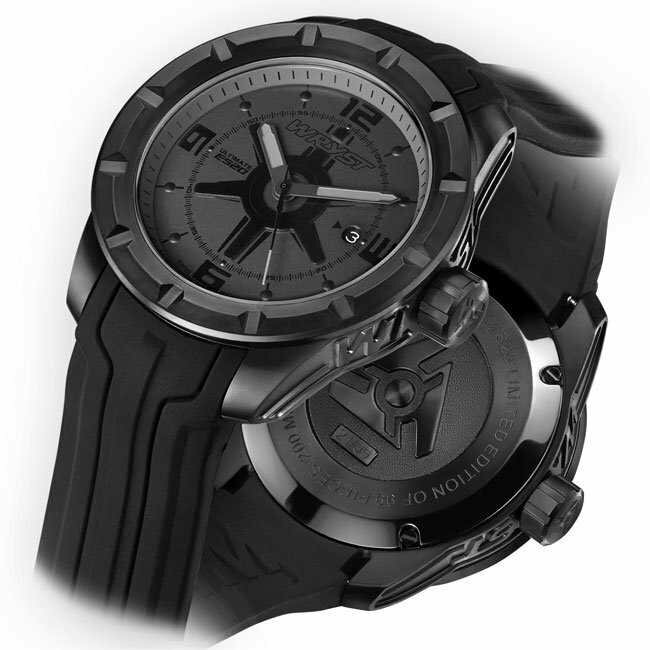 Buy your Limited Edition Swiss Made black sport watch today. TWO BRACELETS INCLUDED! 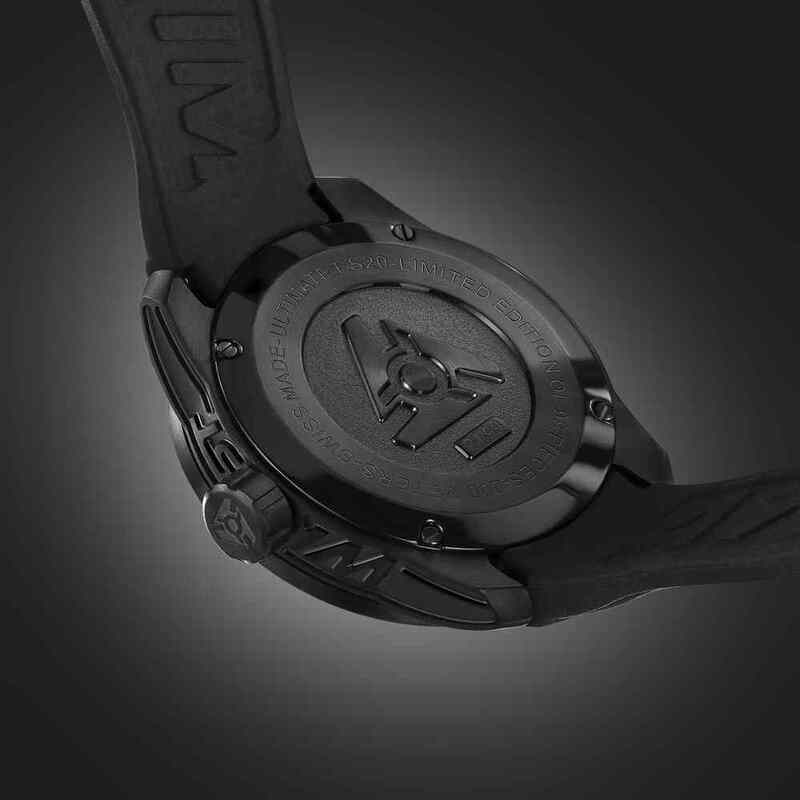 The all black watch Wryst Ultimate ES20 is produced exclusively in Limited Edition and black is the safest, yet the coolest color one would want to have. 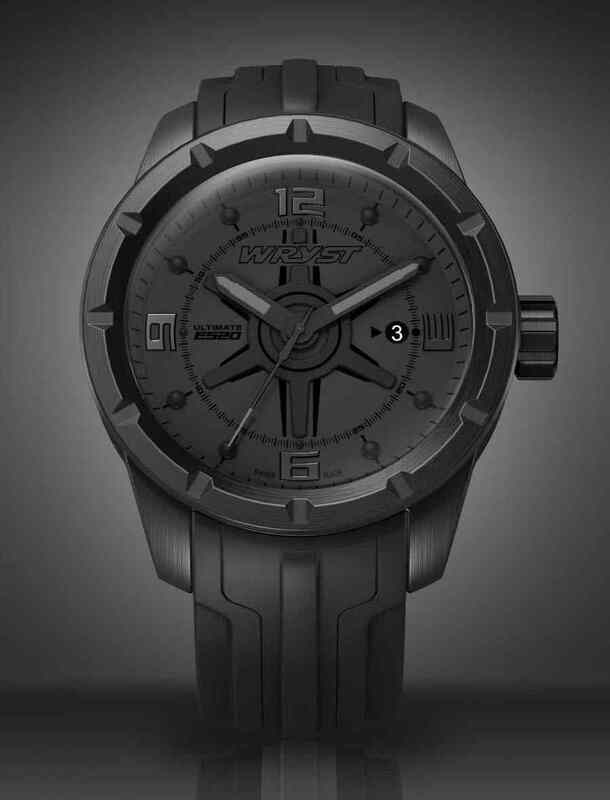 Grade 316L stainless steel engraved case, screw-down crown, case back and buckle are coated with scratch-resistant Black DLC (Diamond-Like Carbon) technology which increase the durability of the watch. Wryst exceeds in providing affordable luxury Swiss watches combining high standards of know-how, craftsmaship and value for money. 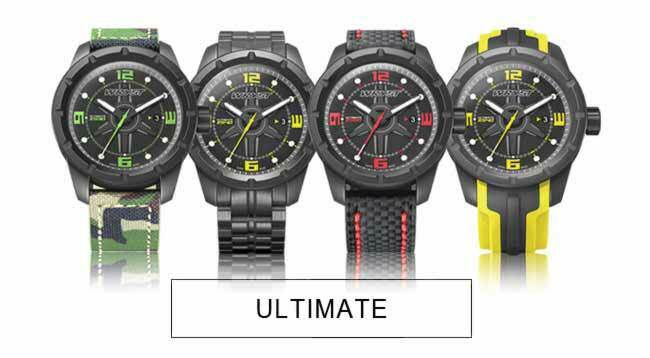 You can stop hunting for the must have Swiss black sport watch, here’s an absolute treat.